As a volunteer with Natural Parents Network, I am participating in a book study and would love you to come alongside me and jump right in. Think of it like an online book club but instead of meeting after reading the whole book, we are slowly going through the book together online over a longer period of time. The book we are reading and talking about is Peaceful Parent, Happy Siblings: How to Stop the Fighting and Raise Friends for Life. It is written by the amazing Dr. Laura Markham who also wrote Peaceful Parent, Happy Kids: How to Stop Yelling and Start Connecting. 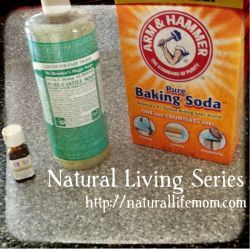 Dr. Markham is also behind the genius site Aha Parenting which is a go-to for me in this crazy parenting journey. This week we are discussing the introduction and first chapter of Peaceful Parent, Happy Siblings. If you have more than one child you know how it can be at times. Honestly, most of the time it is a beautiful thing watching these two little people (I have an almost 3 year old and a 6 year old) navigating life together. It makes your heart swell to watch them interact, share experiences and love each other. But, of course, they are also two tiny humans with low impulse control. In our house, there are certainly times of, “She hit me!” and, “He destroyed my toy!” I’m excited to dive into this book to help with navigating these times so there can be more of the good times than bad. The first chapter is like a mini version of Markham’s first book, Peaceful Parent, Happy Kids. Since I haven’t read that one yet (but have had it on my wishlist since it came out! ), I was delighted to read this first chapter. I appreciated the reminder of how important it is for parents to regulate our own emotions. This is HARD work and the author acknowledges that, but it’s so very important! I honestly think this is something I will work on my whole life. 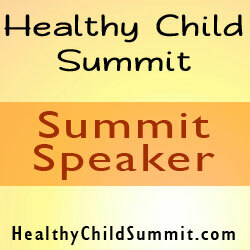 If mom or dad is throwing a temper tantrum, that is not going to be helpful for anyone. My kids are always watching me, and it is truly sad to see my daughter acting like ME when she throws a fit. I know that is my doing because I didn’t teach her and model for her how to regulate her emotions. Connection is also discussed as being a big priority. When our kids feel connected to us, they will feel more connected to each other. If you have kids, you know very well that you can’t make them do anything. That can be infuriating at times because you just want to be able to control them but if we really think about it, we don’t want that. We want them to WANT to listen and connection is that motivation for them. Aren’t you happy to work for a boss you have a good relationship with instead of one you are scared of or don’t respect because of how unpleasant they are to you? It’s easy to see how much our kids want to just be with us and spend time with us and doing so creates emotionally generous human beings as well. I really liked the section on the trouble with punishments a lot. As Markham says, “The other problem with punishment is that if the child isn’t actually choosing the behavior, he doesn’t ‘own’ it. He isn’t intrinsically motivated to ‘do what’s right.’ ” Isn’t the real goal of parenting for everyone for our kids to do the right thing because it’s the right thing? When they leave home, we won’t be there to tell them how to act or what to do anymore. They will have to choose the right thing on their own. Limit setting is important, of course, to give the framework to learn but if they have a close, connected relationship not based on fear they will be more inclined to work within the framework you have set up and grow up to be intrinsically motivated to do what’s right even when you are no longer around to guide their decisions. The second half of the chapter deals with the skills you need to work on to become a more peaceful parent. I have been working on this for awhile now and can see that practicing is actually starting to make a difference. It isn’t something that just magically happens overnight. Like I said above, I do think it is something you continually work on and strive toward. The good news is it is helpful in all your relationships, not just with your kids. Just noticing when you start to feel upset is probably the first step. This is the point where you can do something about it before it gets out of control. Getting enough rest (hard as a parent, I know!) and making sure you’re getting proper nutrition and can take some breaks (I know, now I’m asking too much ;)) will go a long way to being able to cope when your stress meter starts rising. Probably the biggest thing I have used and seen work in our household is something I learned when my daughter was a 2 year old. My daughter now even does this with my son when he is upset. Talking to your child about what it is that is upsetting them and acknowledging it is huge for a child. You are saying, “I hear you!” and that sometimes is all they need to settle down. Yes, sometimes it takes a little more talking to and they still need to cry (which we shouldn’t try to squash immediately, crying is good for them, too!) but you can see that look in their eyes, that connection when you really are telling them you understand that it is hard. This doesn’t mean you give in to what it is they are wanting if it is not something they can have/do, but you can tell them you understand that is what they are wanting and you know how much they do. Overall I enjoyed this first chapter and am looking forward to delving in deeper and learning more about the sibling relationship! 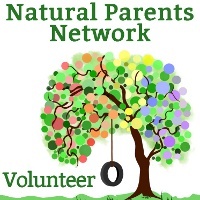 The rest of the posts from the other volunteers will be linked up in a post over at Natural Parents Network on June 26. Next time we’ll be discussing chapter 2 if you want to join in! 2 Responses to "The Journey to Peacefulness in Parenting"